Can you see the surround sound speakers in the walls on each side of the television? 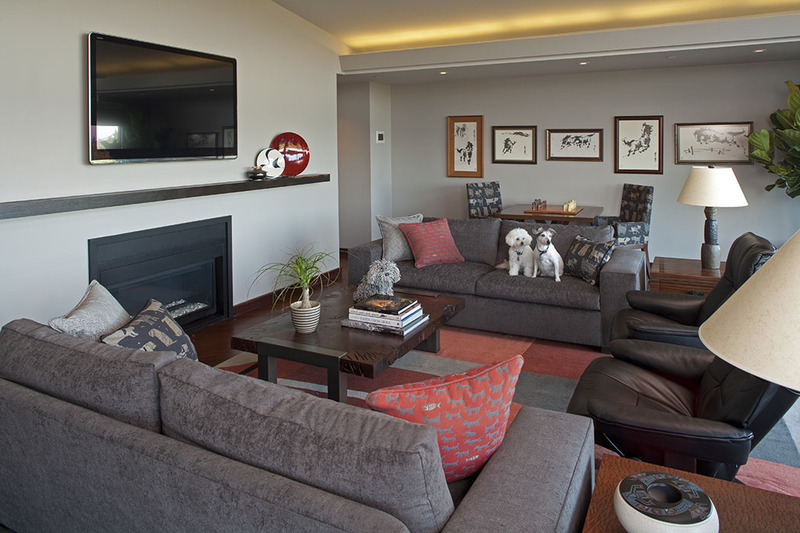 These ample sofas and recliner chairs make a great media room. 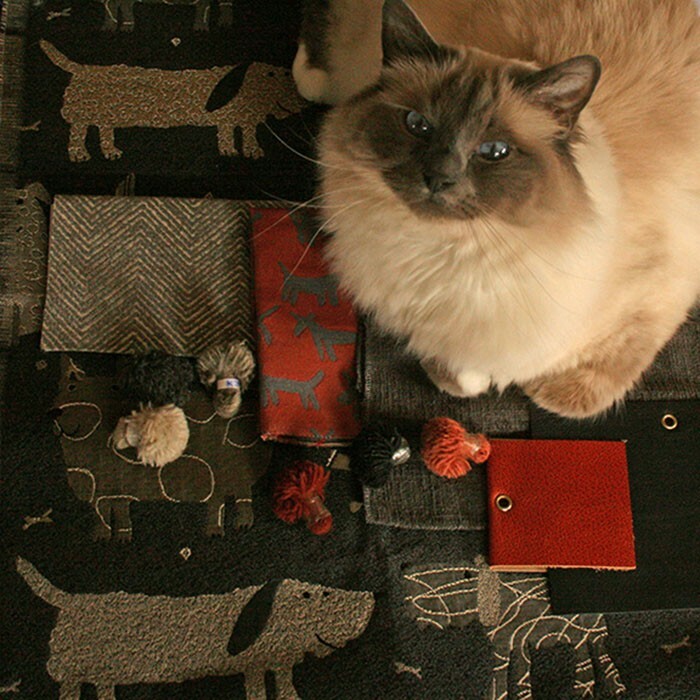 Solid plank coffee table, over-size custom wool area rug, dog-pattern pillow fabrics, and end tables support the creature comforts. 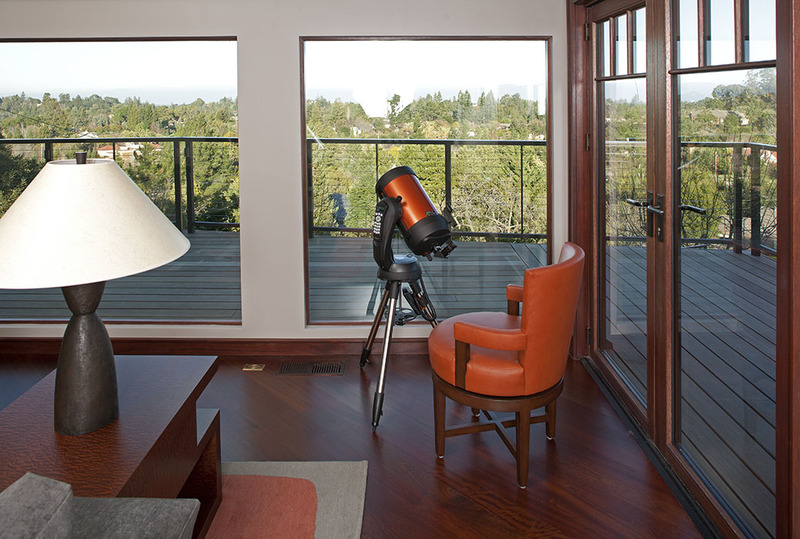 Orange leather swivel arm chair gives hours of comfort for gazing into the expansive heavens from the top-of-the-hill view. Like many 70s California ranches, this home had an unused front patio of aggregate slabs. Instead we created an outdoor living room that offers flexibility of use, whether as an individual hangout, breakfast for two, or large barbecue parties. We employed concrete to dress up the structural roof supports, wrap the outdoor kitchen and mold into planks for flooring. At the center is the concrete fire table, a gathering place for large groups and cozy place for a couple.